Last week I had the opportunity to spend a couple of days in Montreal. 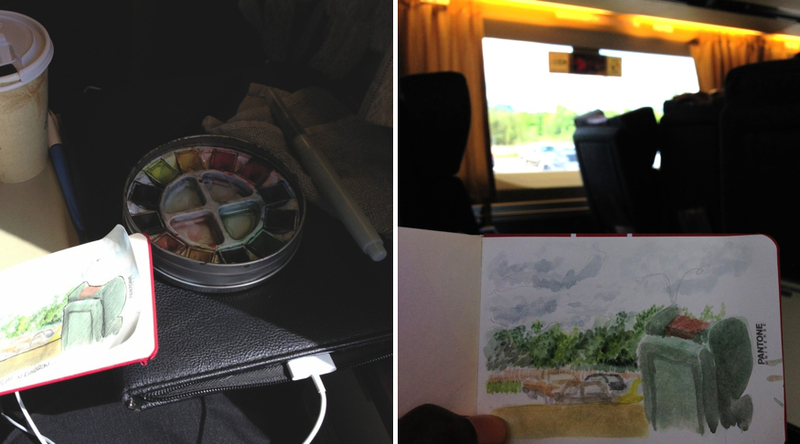 Since we were going via train, I brought a couple sketchbooks with me to capture some interesting sights. I didn't expect to get a lot of subject on the train, but there was an unfortunate casualty for the train right before ours and we ended up spending a lot of time immobile at a various locations while the authorities were taking care of the situation. From what I heard, someone decided to jump in front of a train. While we were waiting, got the opportunity to sketch a couple outdoor views. 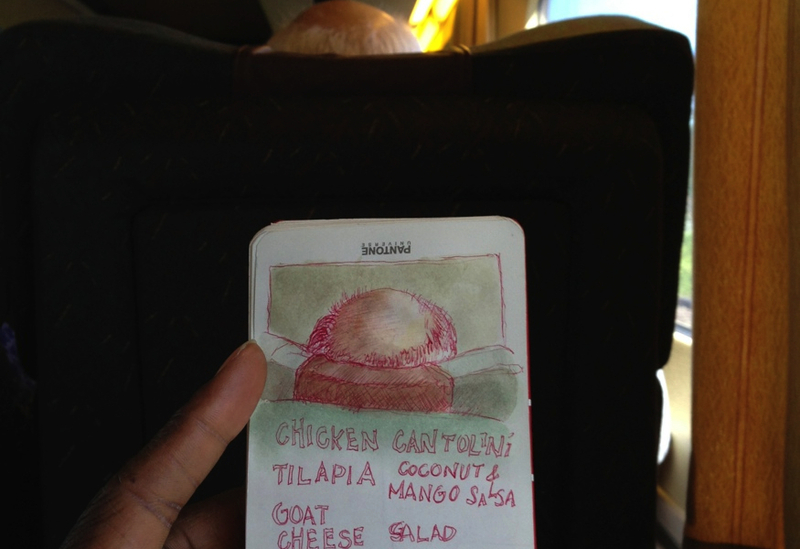 The way the train is set up makes it relatively easy to sketch and paint. I had my little watercolor kit, a mini sketchbook, pens and waterbrush. 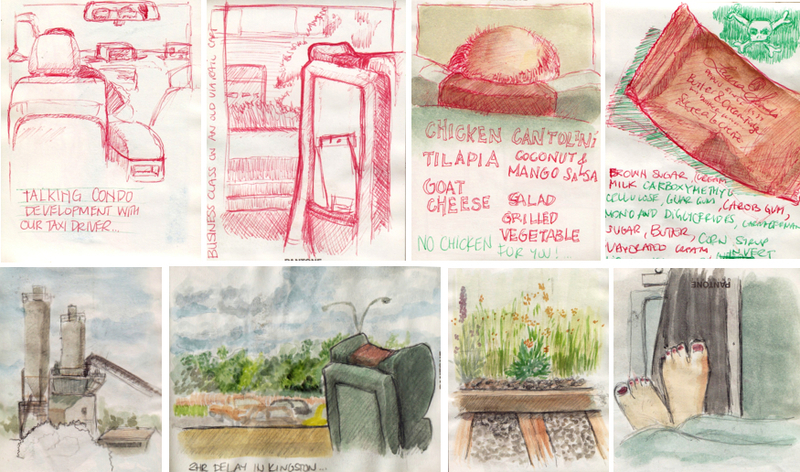 The first sketch was of the parking lot at one of the stops. It's nice to see all the greenery in the background. 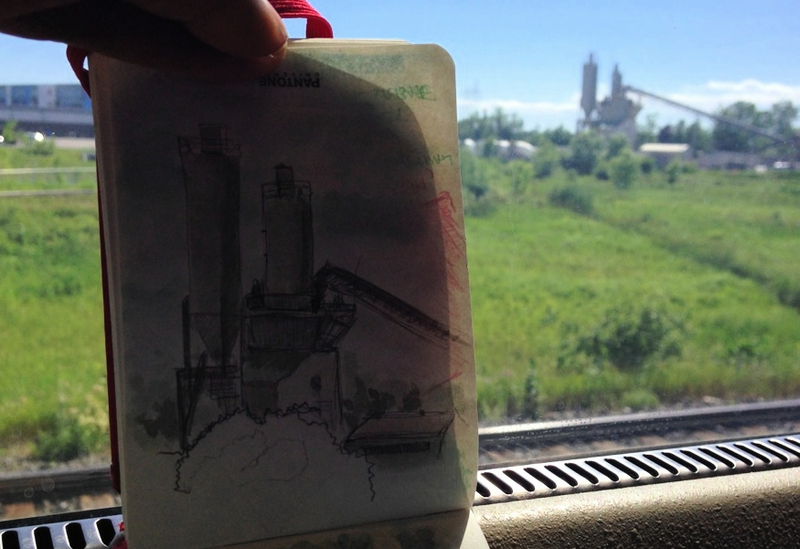 Another stop gave me the opportunity to sketch some sort of grain processing facility. There wasn't a lot of people in the train. Also I think the seats on this car were a little higher so all I was able to capture was the top of a man's balding head. It's not much but at the same time it gave me the opportunity to study the shadows for this sketch. Towards the end of the trip, people were getting a little more comfortable and this lady all the way in the front decided to take her shoes off and put them up on the seat in front of her (see first image). It was a little strange to me but to each their own. 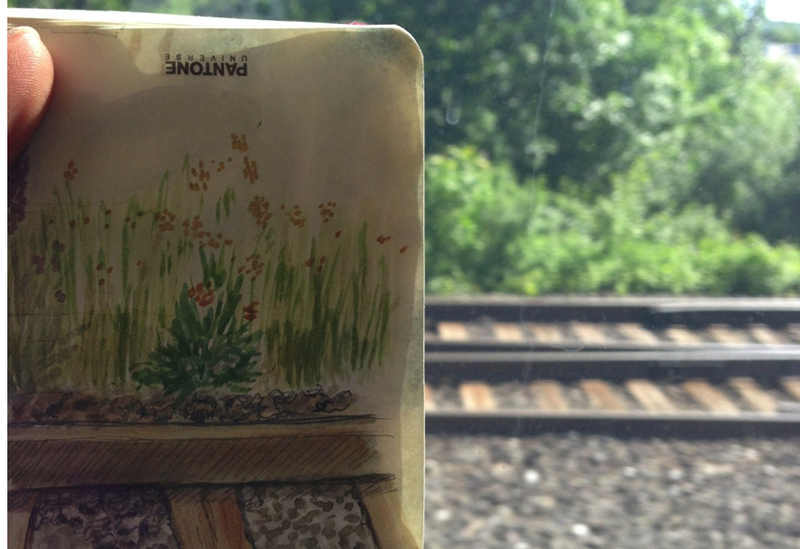 There are a lot of pretty wild flowers growing near the train track adding beautiful colour scheme to the tracks. This time there was a lot of purple and orange accents to the greenery. It made for a nice little scene.